Unlike many other suppliers, we do not place ads in your flipbooks. Your converted PDF to flipbook can be protected to ensure that only those who have been selected can view your publication. 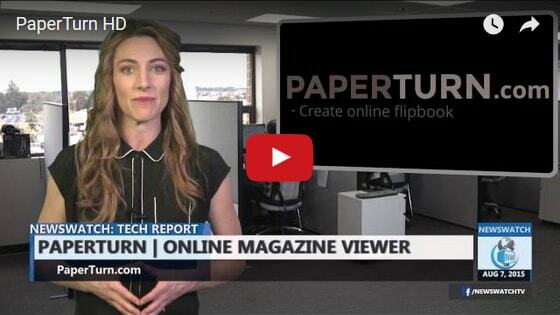 Paperturn has a built-in statistics tool that shows how many viewers your material has had. Google Analytics can also be used. Your flipbook is stored in the cloud instead of in your hard drive. This allows highspeed editing and viewing of your brochure from anywhere in the world. You can insert YouTube videos, pictures and multiple links in your flipbook. This makes your publication more exciting for your viewers. 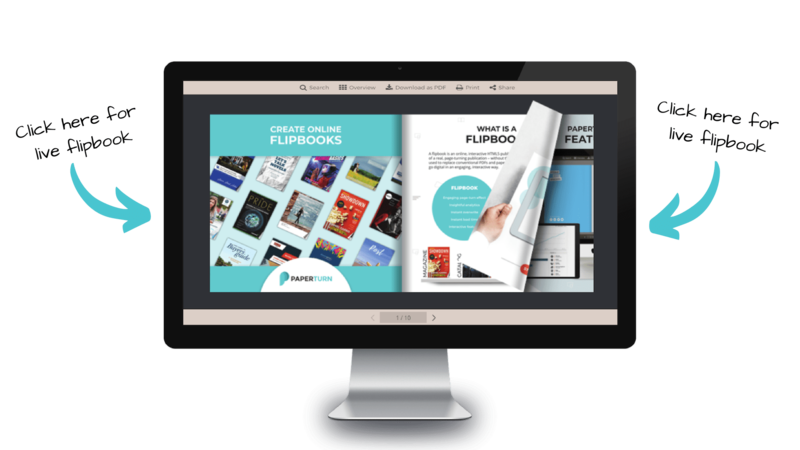 Watch here how the PDF to flipbook system looks like for your viewers! "De-fence has used Paperturn the last two years. It is very flexible and easy to work with. The user interface makes sure that everyone can easily adapt to the system. We have our Paperturn catalog attached as a link in every email we send out to customers. Here customers quickly have an overview of our products. De-fence would always recommend Paperturn to others. It is so easy to use and our brochures look very professional!" "I have used Paperturn.com for a few years. For my own company but also for my customers. I chose Paperturn because it is easy to use and it has a lot of cool features that do not cost extra. Also, the big advantage of Paperturn is that your content will be indexed by Google. I would definitely recommend this to everybody who works with PDF files. Go ahead and upload them to Paperturn.com"
"I have been using Paperturn for the last 3 years and couldn't be happier with their system. They've surpassed all of my expectations!" 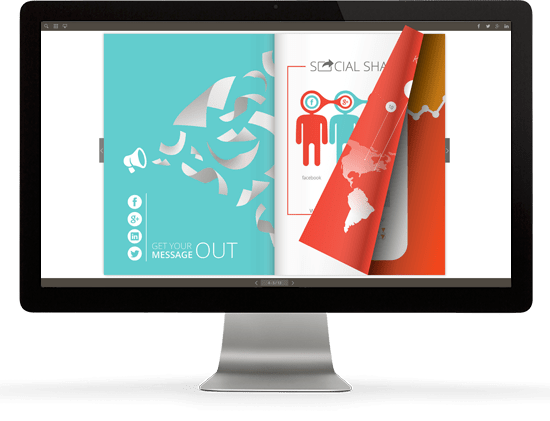 Have you spent a lot of money on printing and delievering the brochure already?